Free Shipping Included! 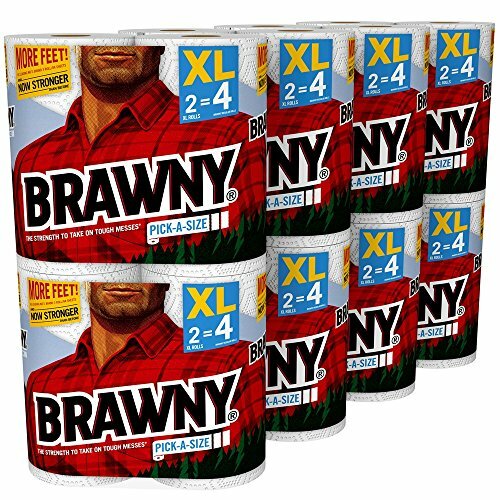 Brawny Paper Towels, 16 XL Rolls, Pick-a-Size,16 = 32 Regular Rolls, White by Brawny at My Athenas. MPN: 44089. Hurry! Limited time offer. Offer valid only while supplies last. In honor of Women’s History Month, the Brawny brand celebrates women and their heroic stories. The Brawny brand is proud to support Girls Inc. Try Brawny Tear-a-Square with 3 Size options and Brawny Wipes - available only in Prime Pantry; For convenient restocking, try the Brawny Dash Button!